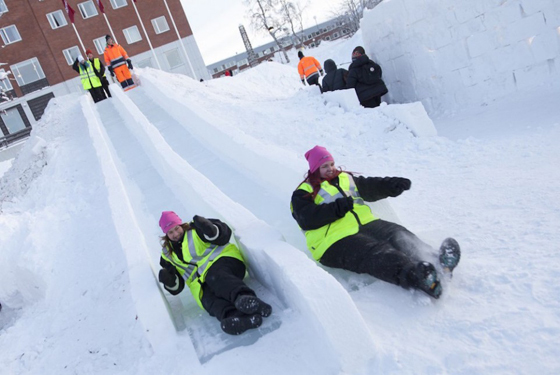 This incredible snow playground proves that when it comes to winter fun, the Scandinavians do it best. 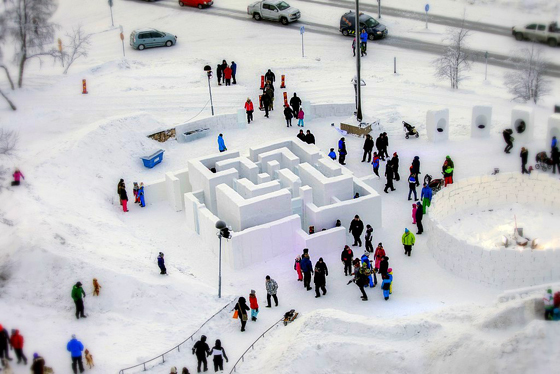 The intricate maze located in Kiruna is purposefully laid out in such a way as to heighten directional confusion and is constructed from 3 metre-high walls that feature a combination of densely packed snow and ice-sheets born of the nearby River Torne’s waters. Flanked by colossal snow sculptures at its beginning and end, the icy paradise also boasts gigantic snow lanterns, egg-shaped seats, two slides and benches crafted from ice. 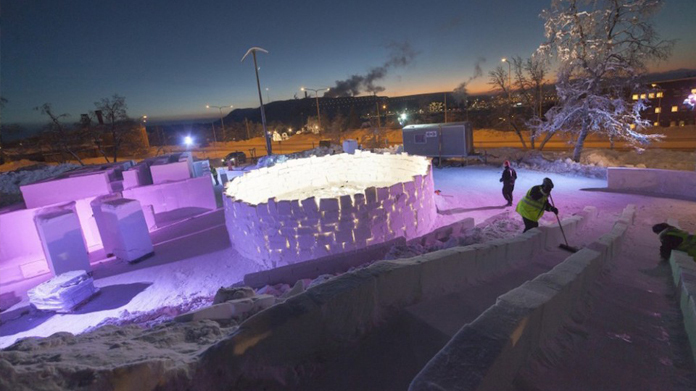 The brainchild of Gothenburg’s School of Design and Craft alumni, Christian Strömqvist and Karl-Johan Ekeroth, the Kiruna Winter Playground was created in partnership with the famous ICEHOTEL, raw materials supplier LKAB and energy company Tekniska Verken – and was rather astonishingly built in less than 7 days, thanks to the help of local schoolchildren from Hjalmar Lundbomsskolan. Its creators hope it will inspire both young and old to venture within its walls for an adventure, before the sun takes its toll and melts it down sometime in April.